Welcome to Mahogany Bay Cruise Center! Enjoy your day, where you will have the opportunity to do some duty-free shopping, grab a bite to eat or simply relax on our white sand beach. Our 20-acre welcome center provides an amazing shopping experience. With over 30 retailers, you'll surely find that special item for yourself or a loved one back home. Indulge in this pristine beach with its crystal blue waters and very relaxing atmosphere. Visit our Beach Rental Hut for fun non-motorized water sports equipment. This cruise project has become an important milestone in cruise tourism in Honduras, and more specifically the Bay Islands. The two-berth cruise terminal is capable of accommodating two ships and over 8,000 passengers. Enjoy direct beachfront access and a first class facility nestled among 18 acres of landscaped grounds. You will have the opportunity to do some duty-free shopping, grab a bite to eat or simply relax on our white sand beach. 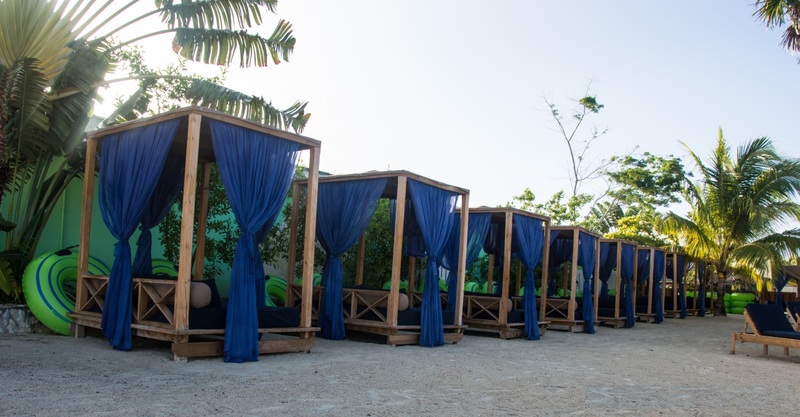 Mahogany Beach's newest relaxation zone, BLUE LAGOON consists of a private beach area and your own personal beach bed cabana. Dedicated beach attendants and waiters, exclusively for this zone, will cater to your every need. 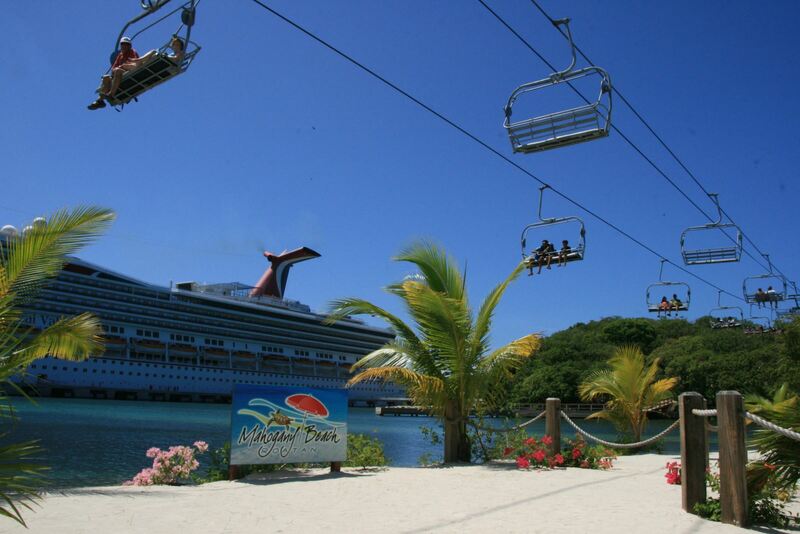 The Magical Flying Beach Chair offers an exhilarating round-trip transfer between the Mahogany Bay Cruise Center in Roatan and beautiful Mahogany Beach.